Real Madrid are reportedly ready to back Zinedine Zidane with a monster transfer budget this summer, and three big-name targets have been named. Los Blancos have had a disastrous campaign this year, as aside from the likelihood that they will end up trophy less, they have sacked both Julen Lopetegui and Santiago Solari during the course of the season. That has led to the return of Zidane despite having only left the Bernabeu at the end of last season following a trophy-laden stint in charge, and it’s been suggested that this summer could be huge for the club. As noted by Sky Sports, they’ve already confirmed the signing of Eder Militao from Porto with a view of shoring up their defence, but it now appears as though the midfield and attack are next on the agenda. L’Equipe report, and as seen in the tweet below of their front-page on Thursday, that Real Madrid will target Kylian Mbappe, Paul Pogba and Eden Hazard this summer, with a €500m budget being touted. On the face of it, that seems like a hugely ambitious transfer strategy in truth given the money involved and the calibre of the players with their current clubs undoubtedly desperate to keep hold of them. 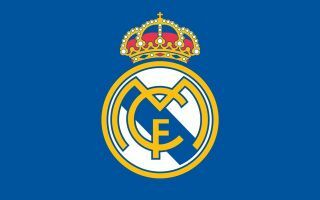 Nevertheless, that is the level of ambition that Real Madrid want to show, and those are individuals who can certainly take them back to the level that they have grown accustomed to in their history. In turn, such moves can’t be ruled out, as ultimately Los Blancos have failed to sufficiently fill the void left behind by Cristiano Ronaldo, and they have ageing stalwarts in the current squad who will need to be replaced eventually and perhaps even shipped out to help fund these moves. However, there are specific reasons as to why such moves arguably won’t happen. With Chelsea currently facing a transfer ban, it’s difficult to see them allowing Hazard to leave without being able to sign a capable replacement. Pogba has been a vital part of Man Utd’s resurgence under Ole Gunnar Solskjaer, and so an exit would now seem unlikely. As for Mbappe, the World Cup winner is the face of Paris Saint-Germain alongside Neymar, and so the French giants will surely be adamant that he won’t be going anywhere. Whether or not Real Madrid’s big-money offers test their resolve though, remains to be seen.